Toshiba Excite 7.7 AT270 is one of the best choices when it comes to affordable tablets. Whenever you manage to buy this device, you will find out that it is not only well-made, but it also has great features. The amount of money you have to pay for the device will be insignificant, given the fact that it functions at an advanced level. Some of the strongest characteristics of the device are its 7.7 inches AMOLED capacitive touchscreen, as well as its internal memory of 16 GB, 32 GB or even 64 GB. 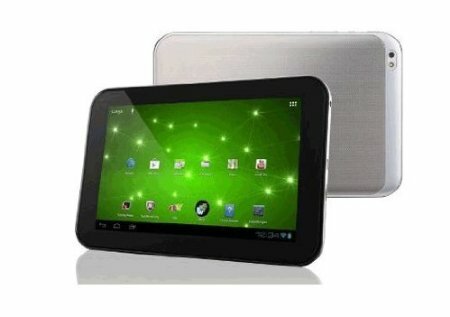 To make the entertainment experience complete, tough, this device is also equipped with 1 GB of RAM. Running on Android OS, v4.0 (Ice Cream Sandwich) and being backed by a Quad-core 1.5 GHz processor; Nvidia Tegra 3, this device is surely going to prove to be good enough to use daily. However, when you notice that your device is performing at an undesirable rate, then all you have to do hard reset the device back to factory default settings. This hard reset procedure offers you the chance to keep all your desired contents of the SD card, so only elements that are stored on the internal memory will be affected. Before commencing, you should make sure that the device has sufficient battery (above 60 per cent) and backup everything important. Choose Ok and the process will begin. Your device will reboot in Recovery mode. Use the Volume buttons to navigate in the menu and the Power button to select an option.